Google has taken many steps to stop link spam and it not only crushes link networks but a large number of businesses are also hurt. It includes many networks who offer link exchange services to the clients but now the situation is changed to great level. Now it would be the wastage of money to buy links before realizing the right condition. On the other hand there are certain businessmen stating that they have got emails from Google asking them to make legitimate progress and save the listing by avoiding illegal means. It is reported that these mails are legitimate and are coming from Google. The subject line of these emails is “Action Required: You have three week to save your Google Places Listing”. · It is possible that Google is testing a new variable which is looking to add in the algorithm with the name of “response time” and wants to see that how quick business owners respond it. · Google does not believe on its algorithm, actually it is said that Google wants to weed out bogus businesses so it needs help. · It can be a test to know that how many SEOs are still following the updates and wanted to remove those who are no more active from its SERPs. 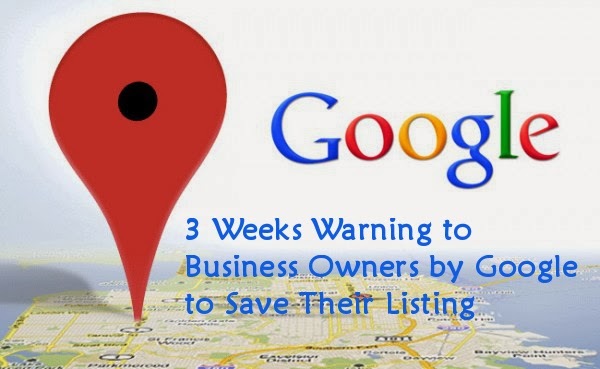 · Google is trying to refine its list by removing irrelevant listings and keep only those who pick the phone when you call them. · It is not an effort only to provide the right results and information to the users but the quickest one in performing it. There are people who take too much time on their queries so they can get quick results in less time with the help of these updates.